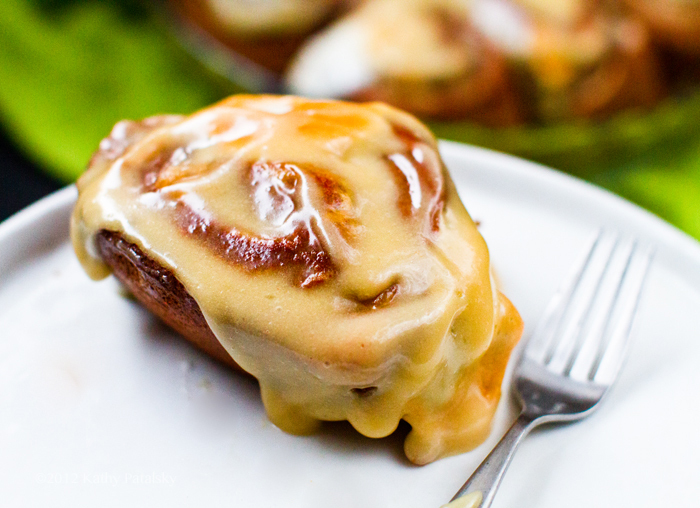 Vegan Hot Cocoa Cinna-Buns. Toasty Marshmallow Swirled. 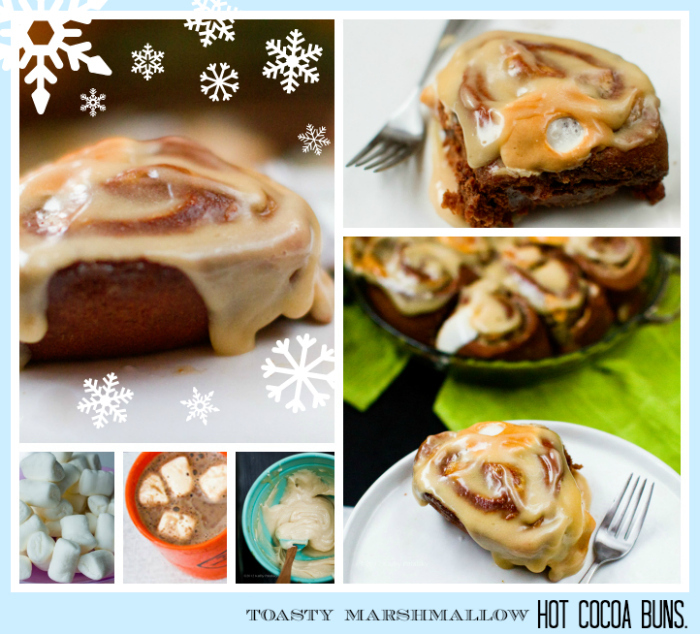 These Hot Cocoa, Toasty Marshmallow Swirled Cinna-Buns have all the cozy-sweet flavor of rich, steamy, hot cocoa with marshmallows, wrapped into each tender, swirled bite. Rich chocolate spirals are slathered in vegan agave-sweetened cream-cheese frosting and oven-baked, toasted vegan marshmallows. 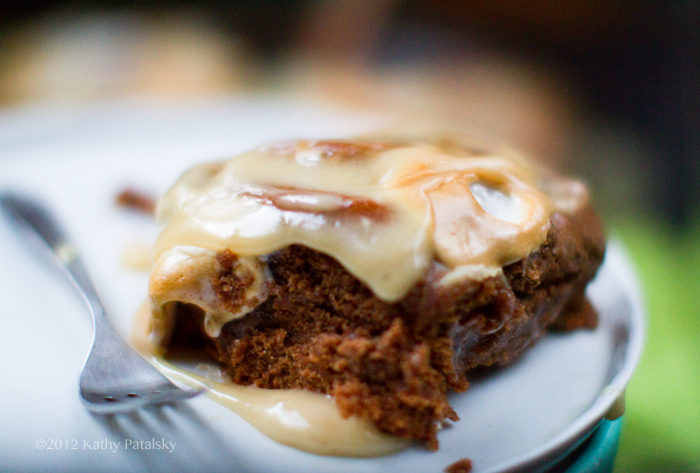 This recipe makes a fun splurge-worthy treat for your holiday season. And every single bite is vegan. 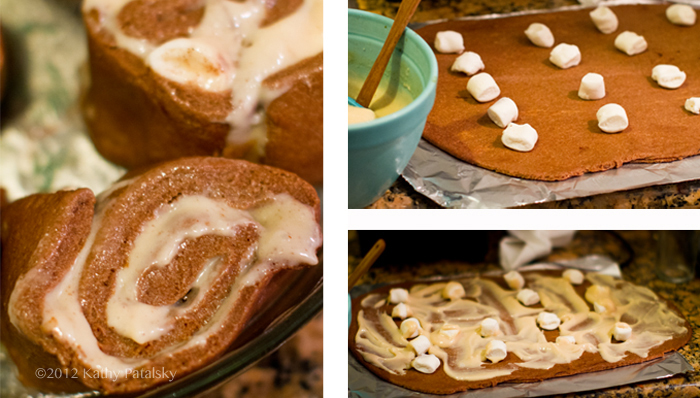 Stay inside and cozy up to these homemade "cinnamon bun" style treats..
"Is that hot cocoa with marshmallows?" Boy says. "Yes." Girl replies. Boy smiles. "I just sat down to sip it.." Girl replies. "Oh." Boy says, disappointment on his face. "I promise I will make you some next time." Girl replies. Her body melting lazily into her lounge chair. "Alright." Sad boy exits with dramatic sadness. 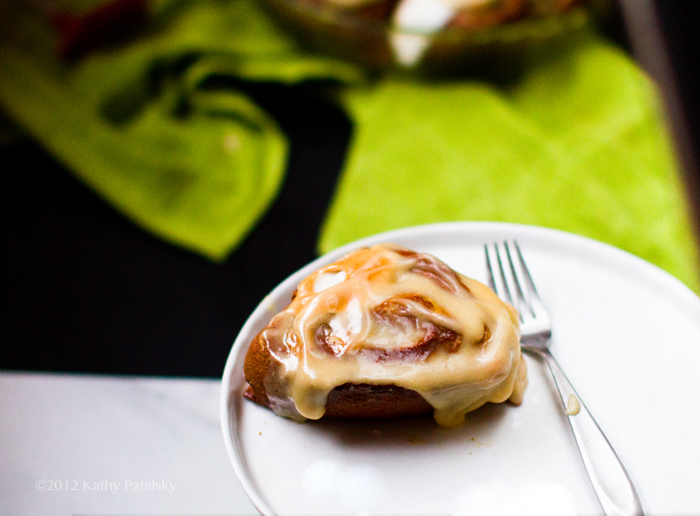 I love making a special cinnamon-style roll on holiday season weekends. 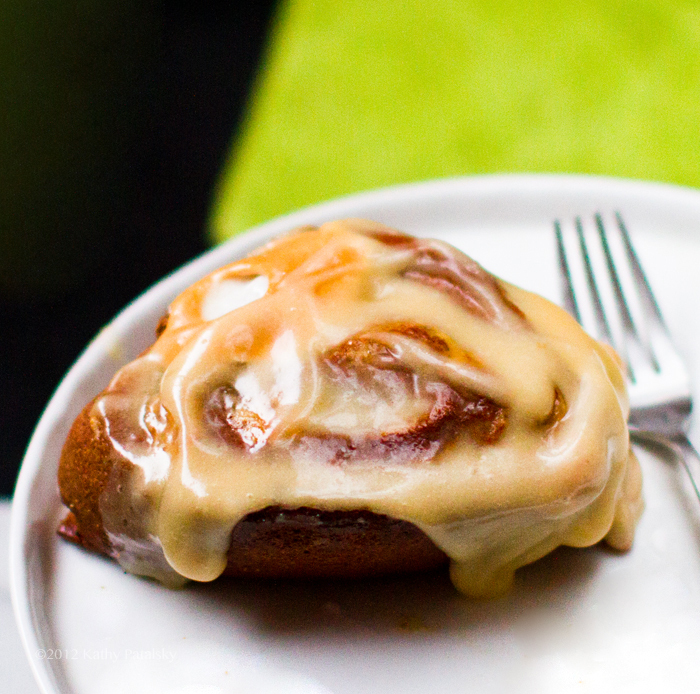 Like this recipe: Pumpkin Pecan Cinna Rolls. 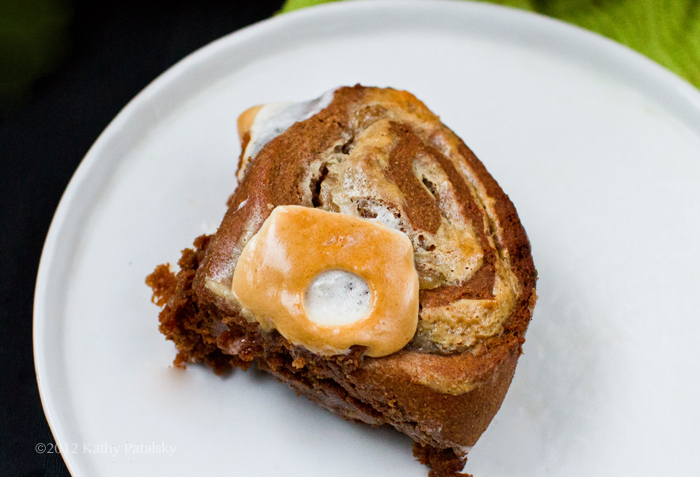 This "Hot Cocoa Buns" recipe puts a chocolate-spin on things. 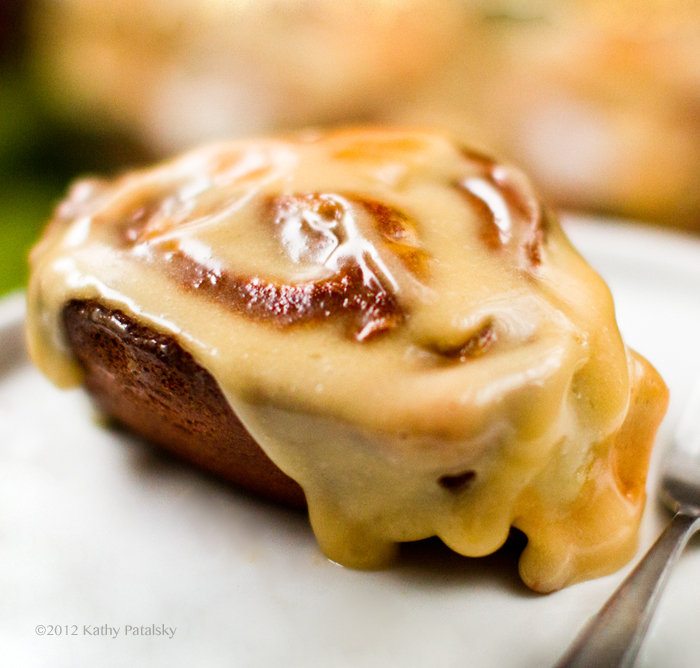 These buns are pretty fun and delicious as a morning bite or as an afternoon pairing with coffee or hot tea. * any flour can be used. A mix of white and wheat would be a good substitute for spelt. **you could substitute the coconut flour with either shredded coconut, nut meal (any variety or processed whole raw nuts) or just add more flour. 1. Combine the yeast and water in a large bowl. Swirl to mix. 2. Add in the salt, baking powder, spelt flour, agave syrup, coffee, coconut flour, cocoa powder, melted coconut oil, vanilla extract and lemon juice. Fold into a ball of kneadable dough. It should be quite moist, yet just firm enough to form into a ball. Knead a few times, adding extra flour if needed to handle. 3. Place the dough in a greased mixing bowl and cover. Allow to rise for about 30-60 minutes. 30 minutes for quick rise yeast. 4. 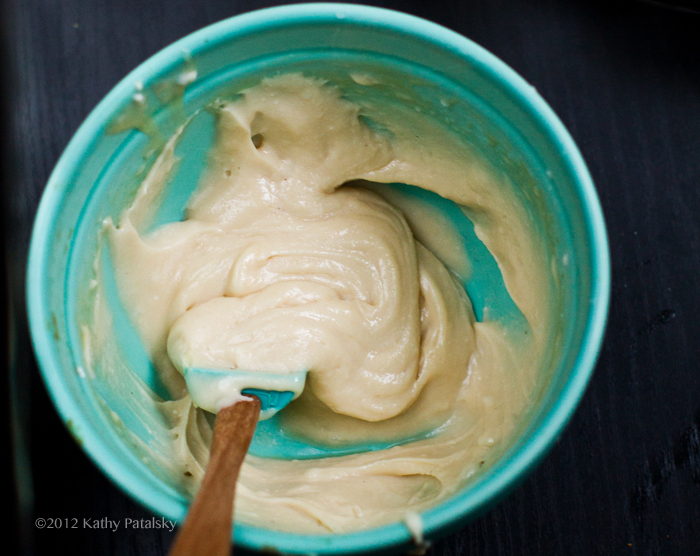 While the dough is rising, mix up the frosting. Add the cold cream cheese, sugar, agave and salt to a bowl. Blend until smooth using a hand mixer. 5. Gently knead the risen dough. Turn oven to 400 degrees. 6. Roll out the dough on a floured surface. If the dough feels too oily or sticky to knead, place in the freezer for about ten minutes. This will help firm it a bit. Otherwise, roll out to about 1/4 inch thickness. 7. Add about 15 vegan marshmallows to the dough and spread about 1/2 cup or so of the frosting on the inside of the dough - around the marshmallows. 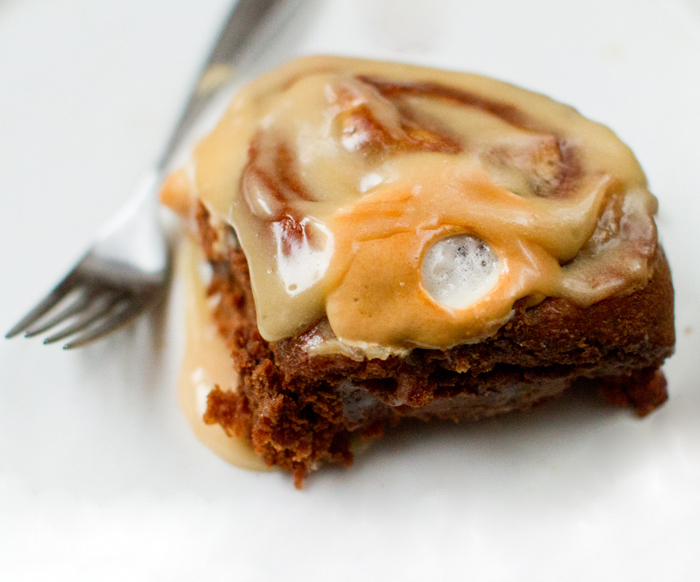 You want the entire surface of the rolled out dough to be covered in frosting and marshmallows. 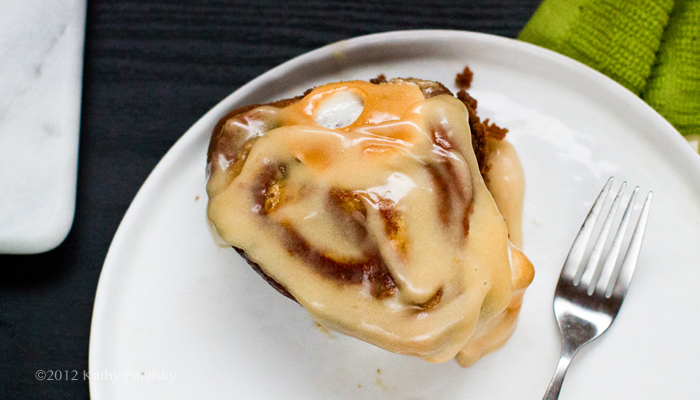 Sprinkle the cinnamon over top. 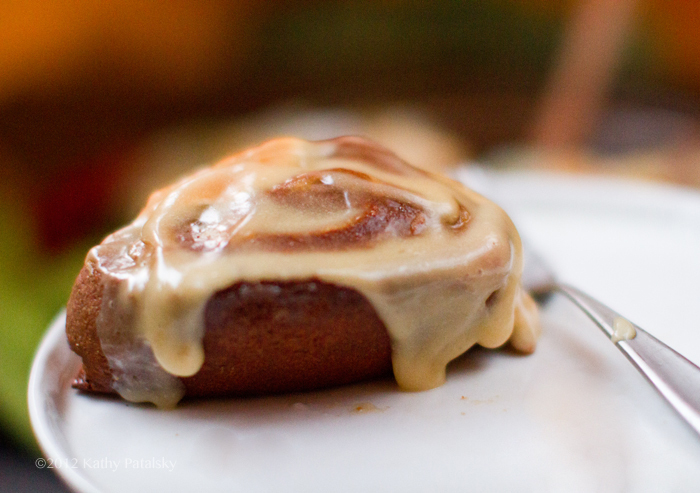 Place leftover frosting in fridge to be used upon serving buns. 8. Roll the dough from one end, into a tight spiral. Cup the dough into rounds and place in a greased baking dish. And circle dish will work - even a pie dish could work. 7"-10" round in size. A smaller dish will allow for more plumped up buns, as the press together as they bake. A larger dish allows the buns to spread out a bit more. Add a few extra marshmallows on top if you'd like. 9. Bake at 400 degrees, uncovered, for about 35-38 minutes. 10. Remove from oven and cool before serving. 11. 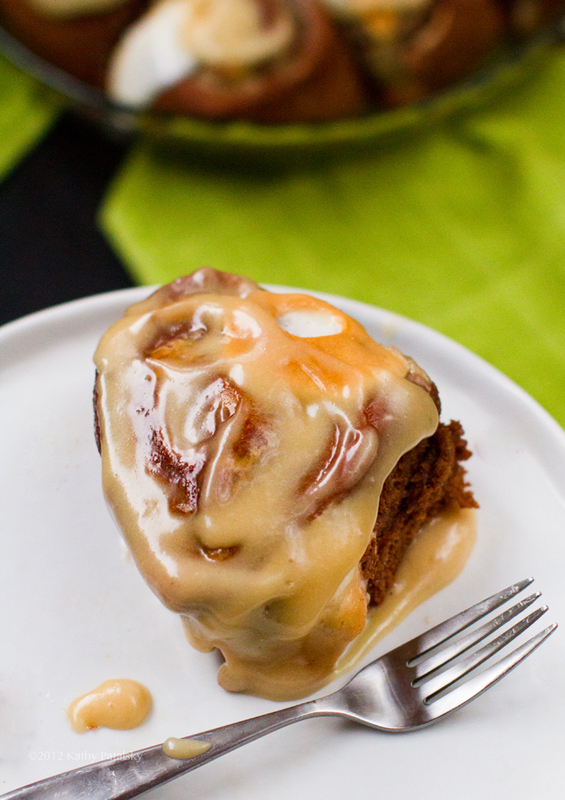 Serve with a dollop of the frosting on top. Store on the counter if consuming same-day. Store in the freezer or fridge if serving int next day. You will need to warm / reheat these buns before serving since they firm up quite a bit in the fridge.